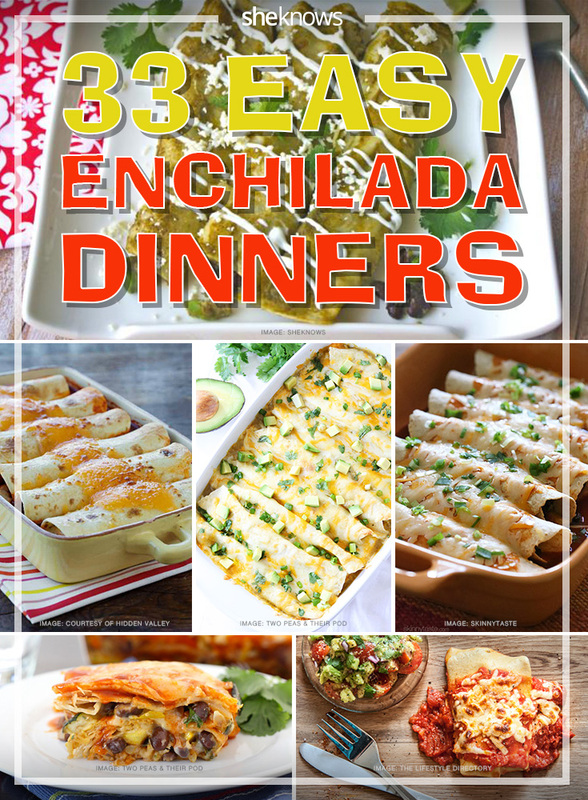 Dive into Mexican cuisine, and get a taste for enchiladas. There are so many ways to make them tasty and interesting for your family. 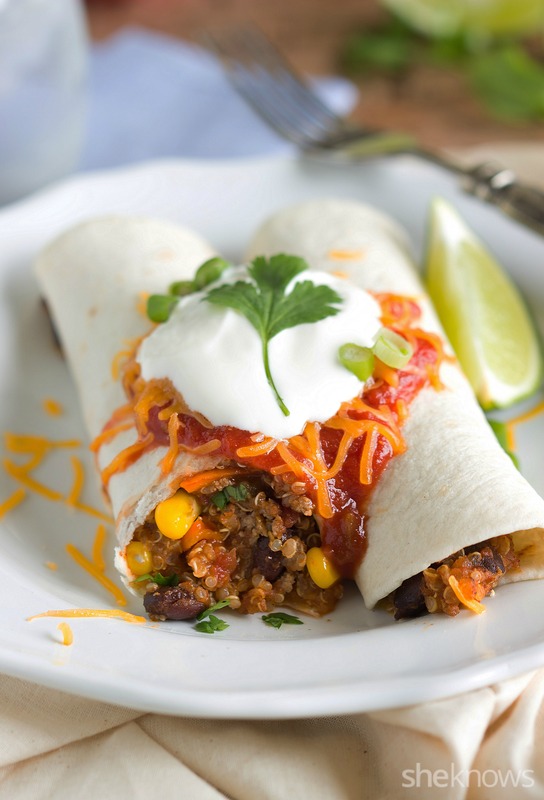 Whoever decided to take a tortilla, roll it up around a tasty meat or vegetable filling, slather it in enchilada sauce and top it with cheese was a genius. We love this delicious and hearty meal, which comes together when you add just a big salad on the side. 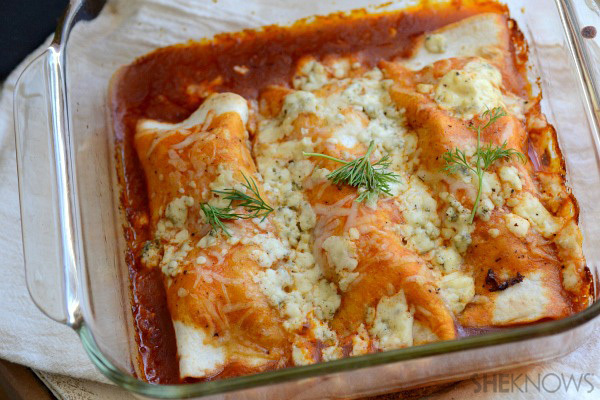 Ali calls these the best chicken enchiladas, and we can see why. Make sure to make her homemade enchilada sauce for best results. Feeding vegetarians but still need to keep the carnivores happy? 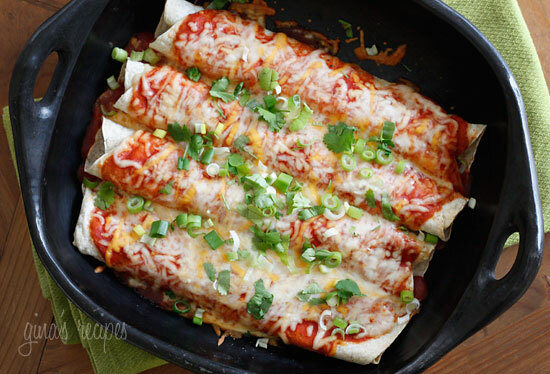 These slow cooker vegetarian quinoa enchiladas are hearty enough for both. 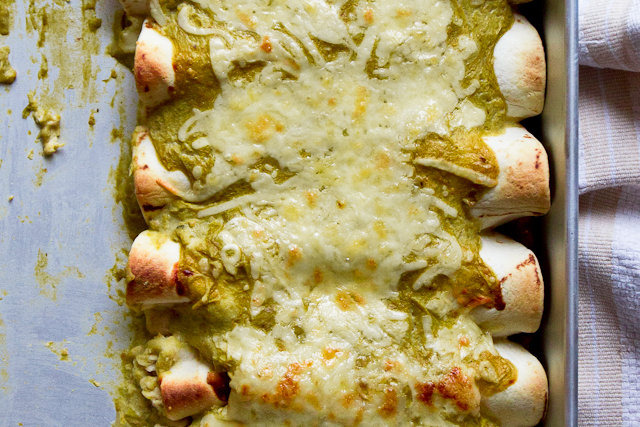 How luscious do these creamy spinach and cheese green chile enchiladas look? 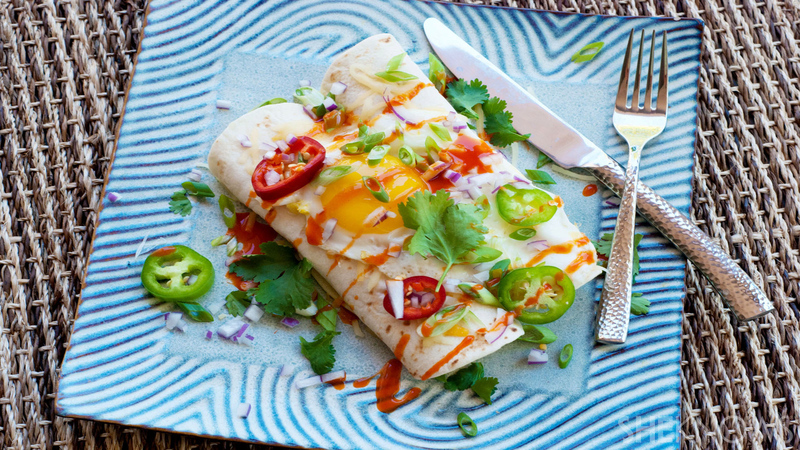 We would never be opposed to starting our day with a batch of these spicy breakfast enchiladas. This is a recipe to save for when the massive zucchini harvest comes this summer — make cheesy zucchini enchiladas. 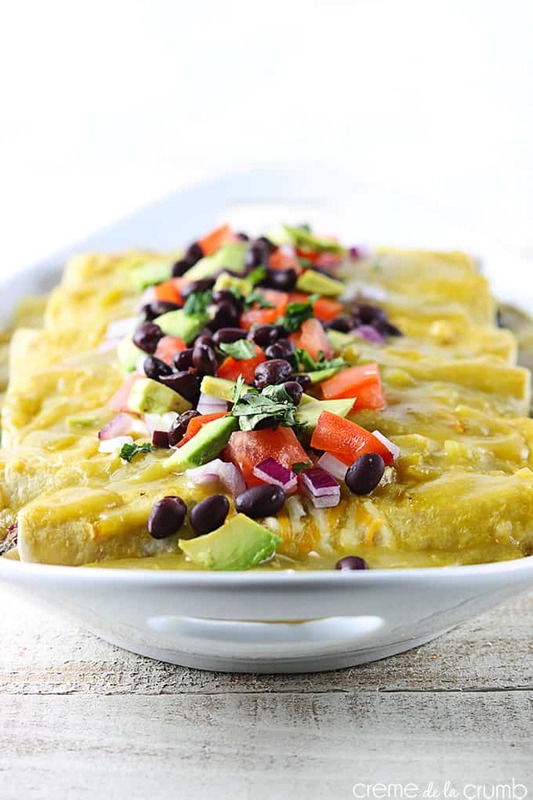 Avocados and black beans are the perfect filling for these avocado and black bean enchiladas, drizzled with sour cream goodness. 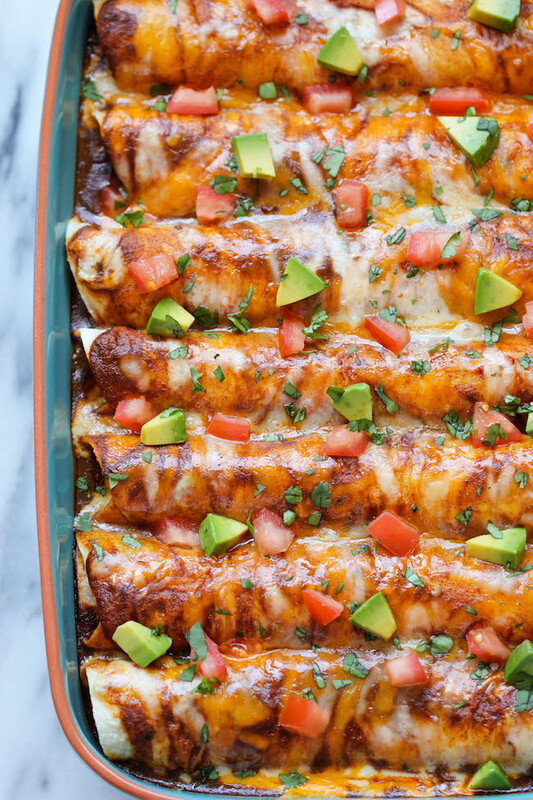 These beef enchiladas make me just want to dive into this dish — great for bringing to parties and get-togethers. Super simple to make, these green chile chicken enchiladas get you out of a pinch when you need dinner on the table quick. 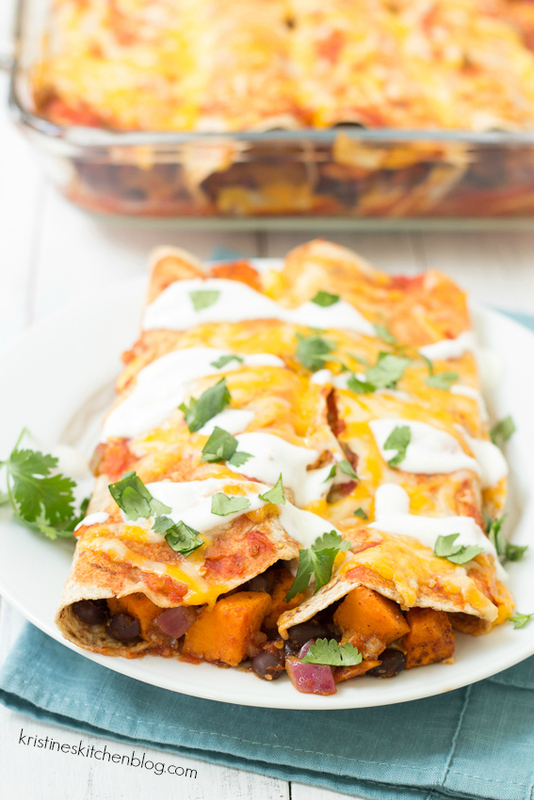 Squash offers a hearty filling to replace meat in these butternut squash and black bean enchiladas. Roasting the squash beforehand also adds great flavor and caramelization. 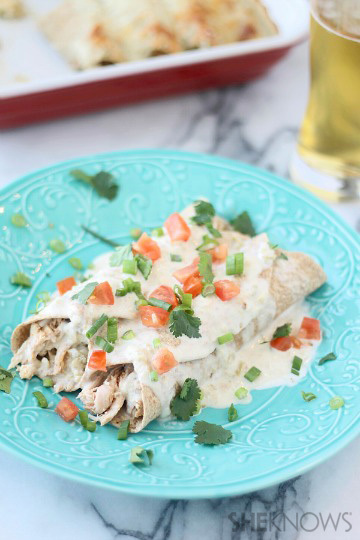 Although these creamy chicken enchiladas look fattening, it’s a skinny recipe that tastes amazing! Give it a try the next time you’re watching your fat intake. 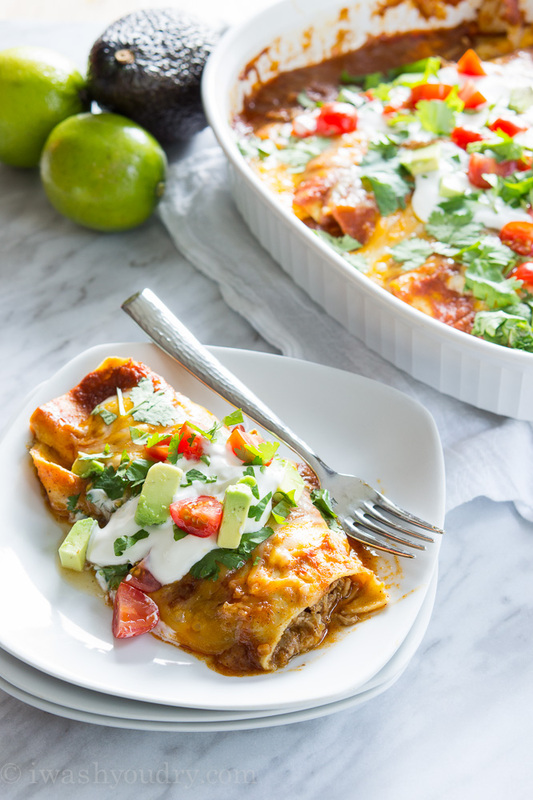 Oh, how we love pulled pork, like in these amazing sweet pulled pork enchiladas topped with fresh avocado and tomatoes. 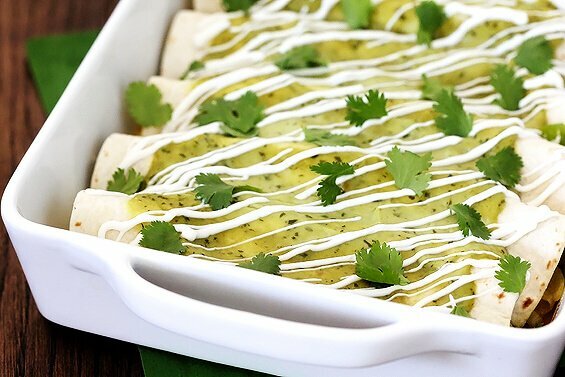 Make a double batch of these easy chicken verde enchiladas, and freeze one of the casseroles for a quick weeknight meal in the future. 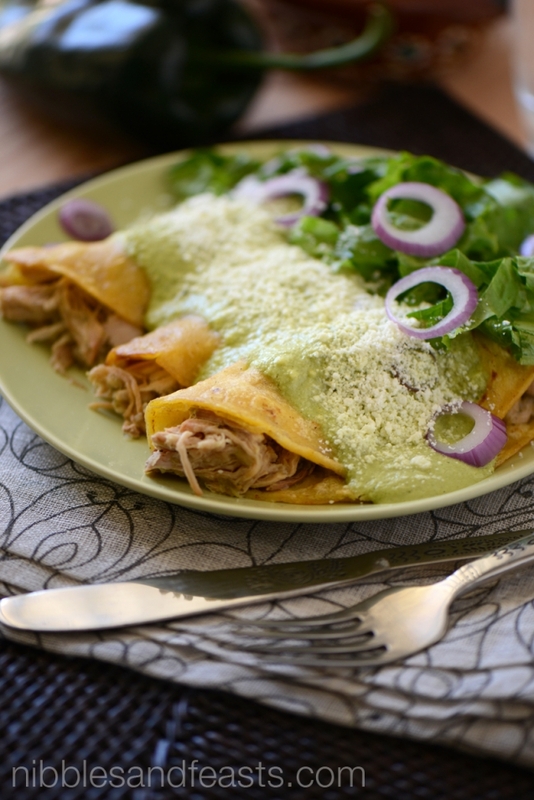 Classic in Mexico, these enchiladas zacatecanas are made with corn tortillas and perfect when served with pickled onions. 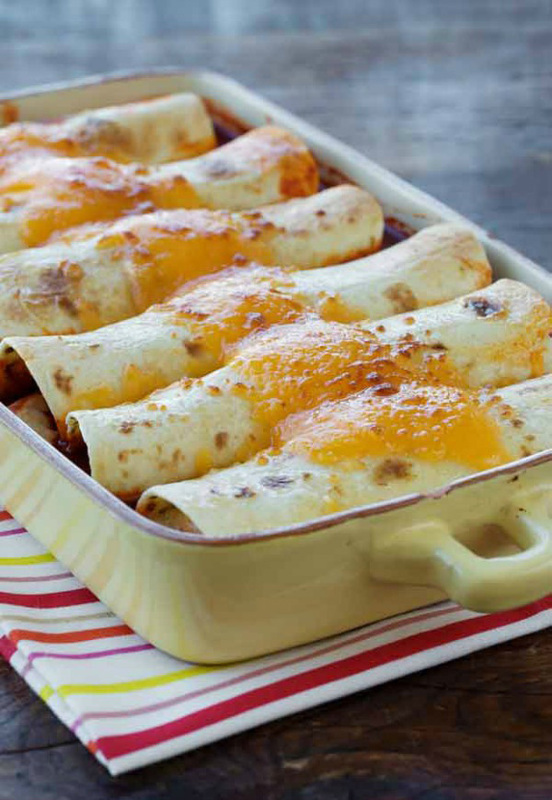 Your husband will love these Buffalo chicken enchiladas, especially if you drizzle them in a blue cheese sauce. How is that for delicious? We know Thanksgiving isn’t for long, but we’re totally loving these turkey cranchiladas, perfect for a lighter version of the classic enchiladas. 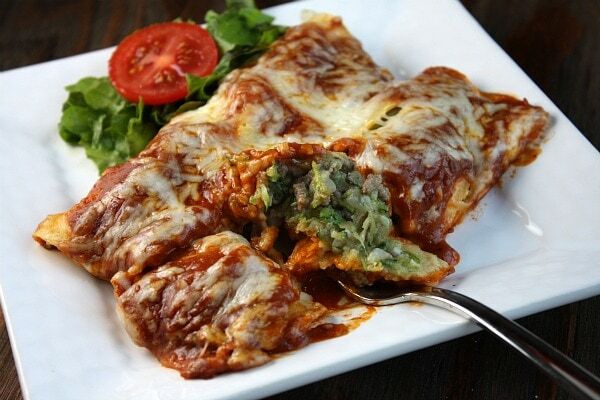 This enchilada recipe is perfect for the avocado lover or vegetarian in your life. 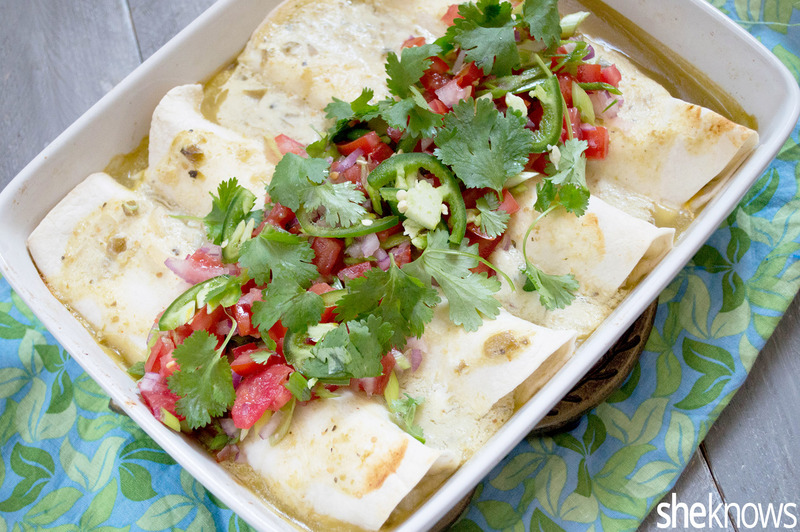 This creamy shrimp enchilada is perfect for a night in with your girlfriends or for just satisfying that seafood craving. 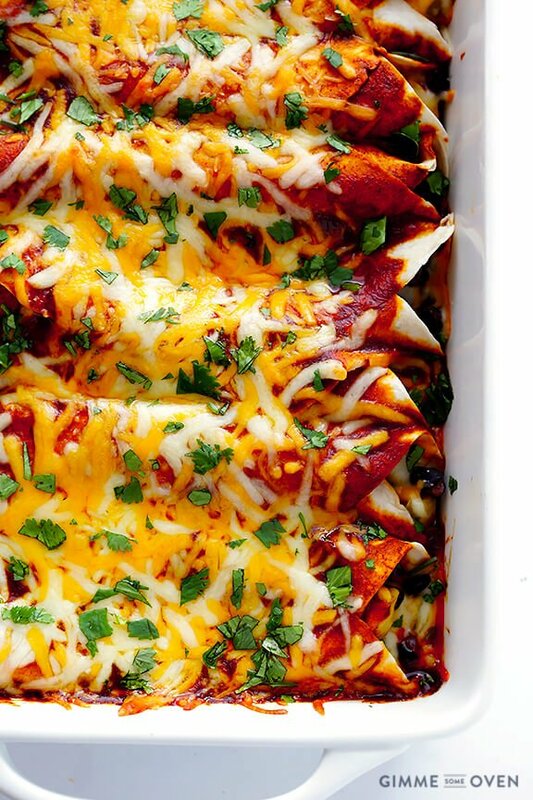 These chipotle shredded pork enchiladas are spicy but worth it. 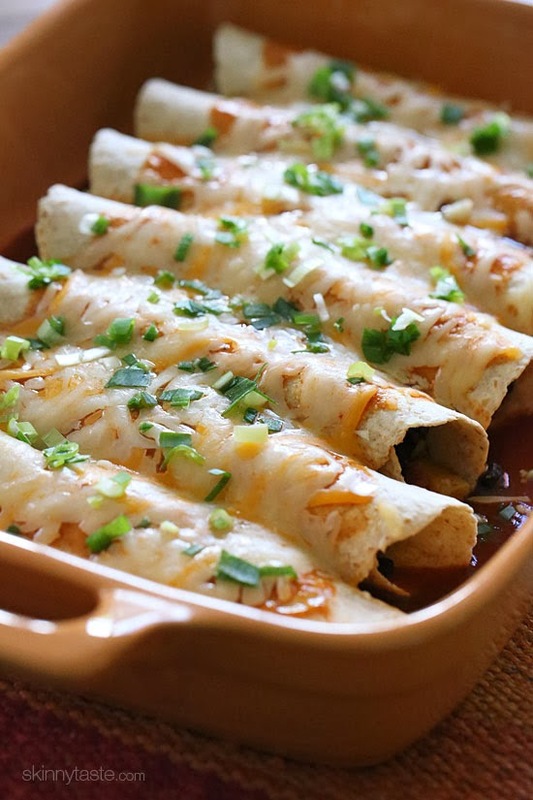 These white chicken enchiladas are creamy and nutritious. 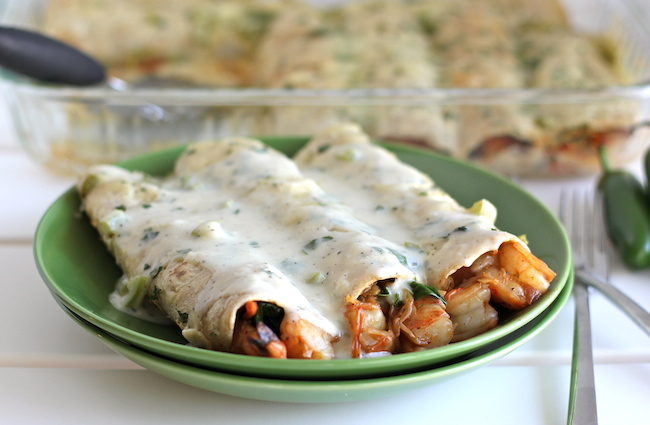 The zucchini-beef enchilada is a great way to integrate vegetables into your meal. 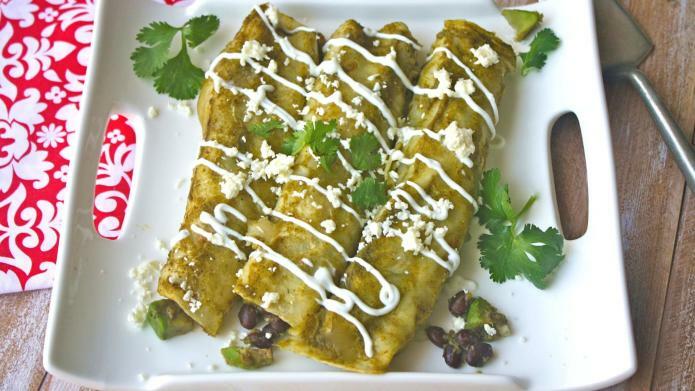 Use flour tortillas for this roasted Hatch chile and chicken enchiladas recipe. They will absorb the flavors from the sauce, and the other parts will get crunchy. 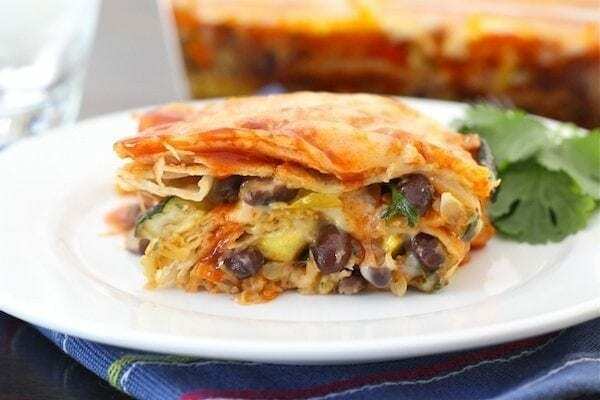 These sweet potato and black bean enchiladas have no meat but contain all the flavors (if not more) any other enchilada would have. 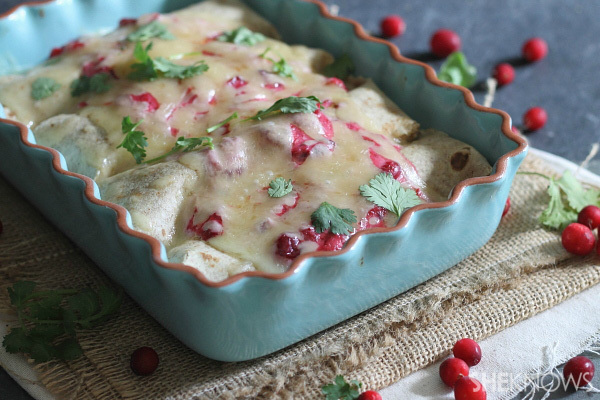 Thai chicken enchiladas are sweet and tangy with a hint of spice. The peanuts on top are the perfect addition to any Thai dish. 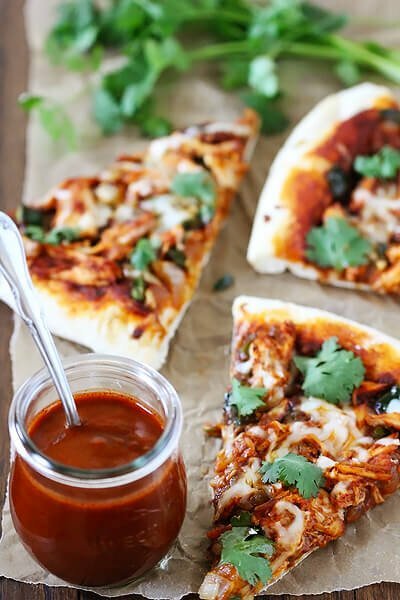 Try enchiladas a different way with this chicken enchilada pizza. 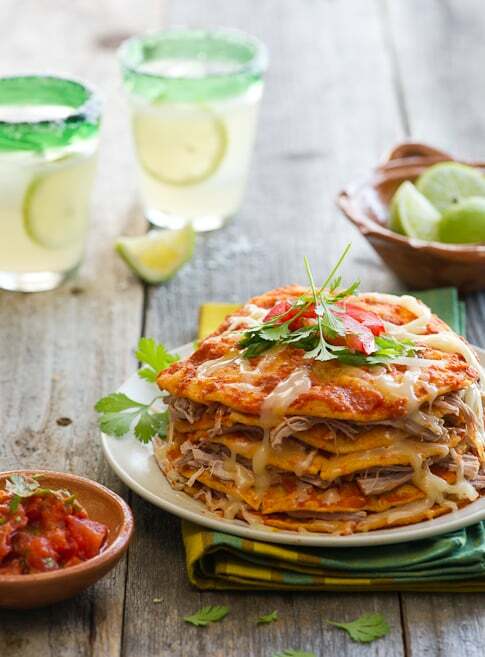 It combines two comfort food favorites — enchiladas and pizza — into one dish. This veggie enchilada dish with pumpkin enchilada sauce is gluten-free and perfect for anyone who loves pumpkins year-round. 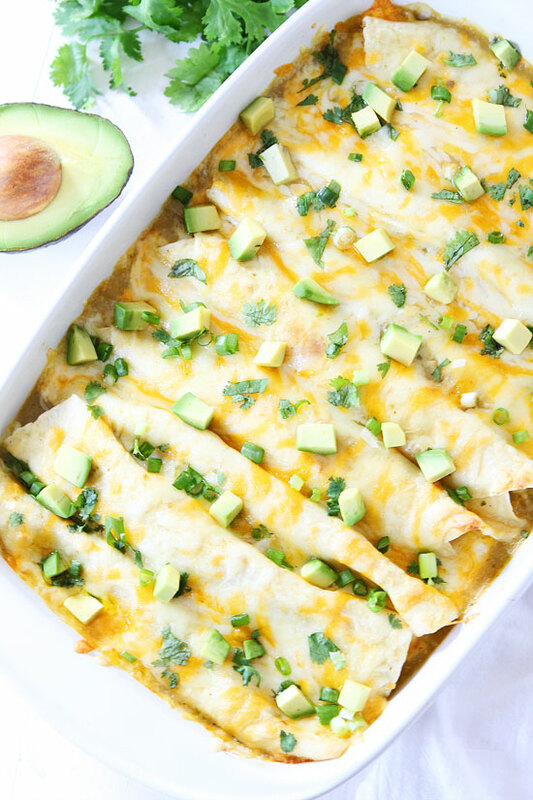 The avocado sauce on top of these chicken enchiladas adds a flavorful kick. These veggie enchiladas are grain-free and vegan. 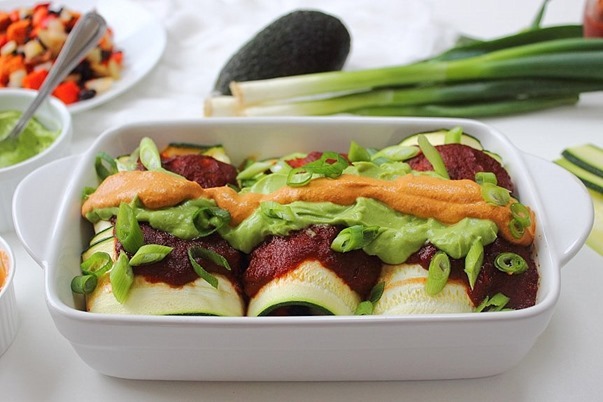 The ingredients are wrapped in a zucchini and topped with a nacho cheese and yogamole sauce. Combine one of your favorite childhood foods with enchiladas in this tater tot enchilada bake. This vegetarian enchilada recipe is topped with carrot sofrito and does not require any baking. 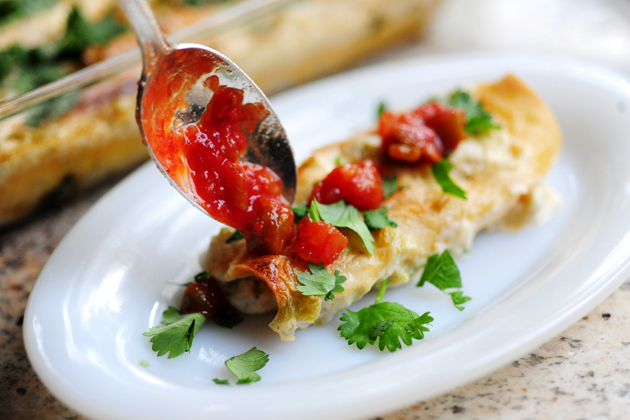 Instead of the traditional tortilla, this enchilada uses crepes. You’re welcome. With these stacked roasted vegetable enchiladas, you won’t have to worry about the tortilla breaking. The jalapeño sauce on these roasted shrimp enchiladas is the perfect combination of chipotle and jalapeño. 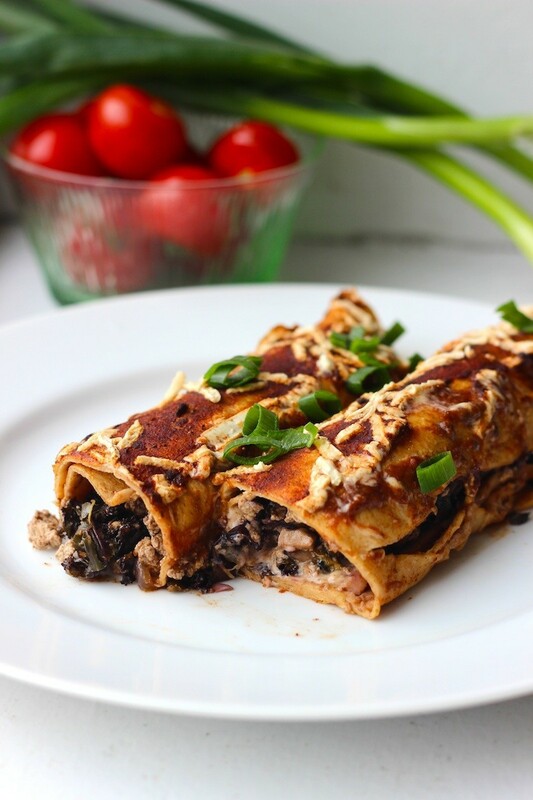 These vegan enchiladas with kale and mushrooms are just as delicious, but without all the grease.